This is a really very stable and road worthy rack system! I have been using it for some time now and it's ideal for big drum sets, since you can rack mount virtually anything and everything on this.I really like it! 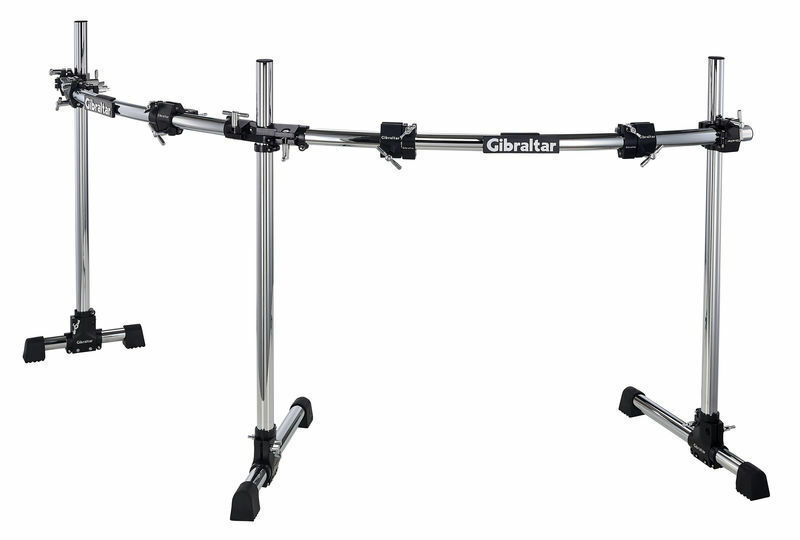 This Gibraltar Rack system is a perfect example of a great value product. You get a very sturdy rack system for less than the competition and it perfectly suited my needs to clear up floorspace with my double bass set up. The one thing that I could call out on it would be the rounded design so you have to tighten the clamps pretty good if there is a heavy part hanging from them. But overall this is such a good product and price I would recommend it to anyone. And especially to someone with a bigger setup. ID: 192709 © 1996–2019 Thomann GmbH Thomann loves you, because you rock!